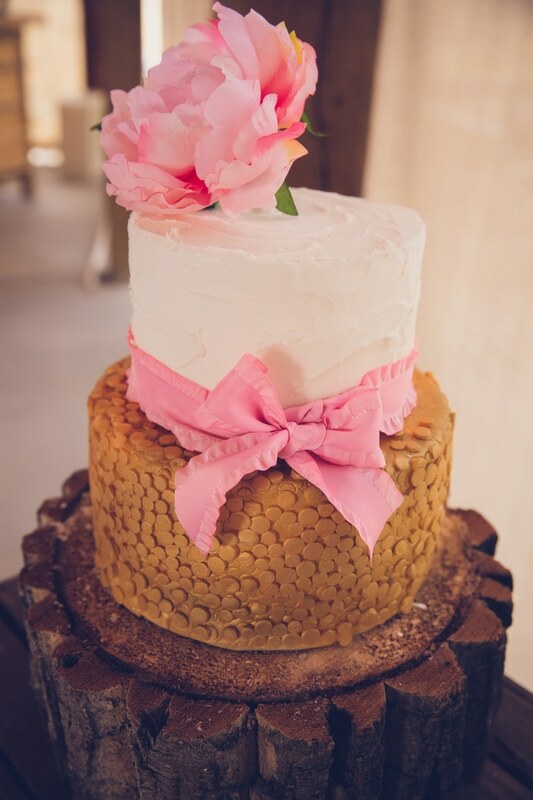 This Girly Vintage Garden Baby Shower, planned by the mom-to-be herself, featured some of her favorite foods and desserts, along with lovely vintage decor, some of which were personalized for her baby girl Adilla Rose! After two years and countless tears, Brian and Katie finally found out they were expecting their first baby, a girl named Adillia Rose! 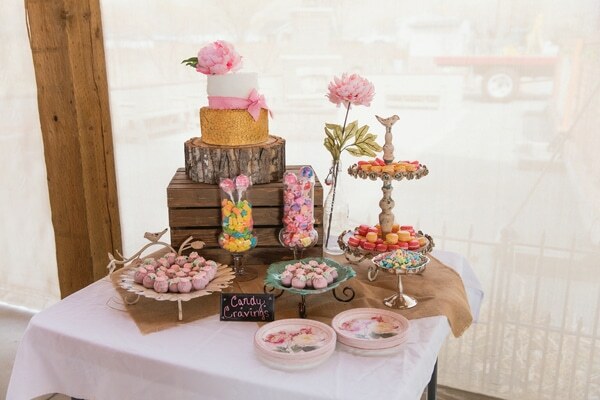 So … for such a joyous occasion they decided to go all out for the baby shower! They live in a small town in Colorado called Palisade, known for the wine and wineries. They actually live right next door to Varasion Vineyards and that is where they decided to throw their “vintage garden” baby shower, themed after the vintage homes and the rose garden that is part of the vineyard! 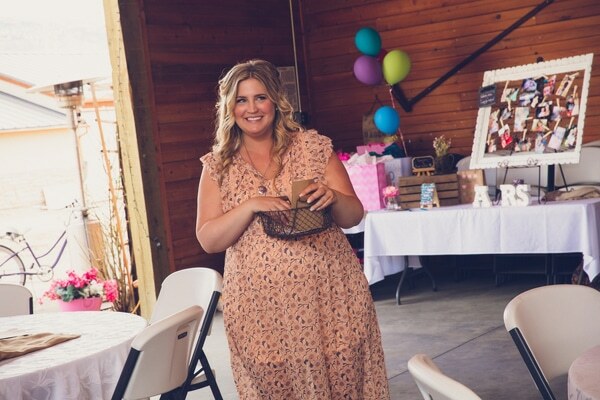 Katie has been throwing and designing parties as a hobby, so she decided to take on the task of throwing her first baby shower herself! She gathered green mosses, silver platters and vinelike flowers to create whimsical centerpieces for each table. 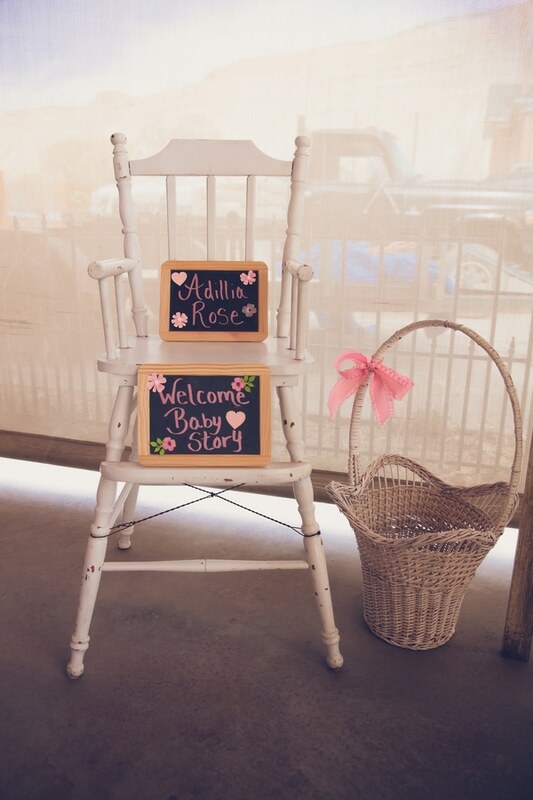 She set up her vintage high chair with chalkboard signs that had greetings for the new addition. 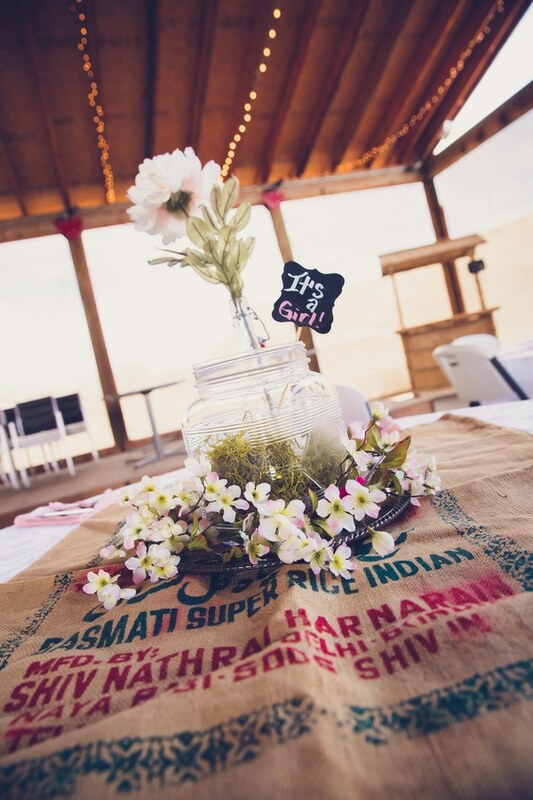 A vintage folding screen was used, draped with “Its a girl!” as a backdrop for pictures. Another table had gifts and a DIY photo holder. 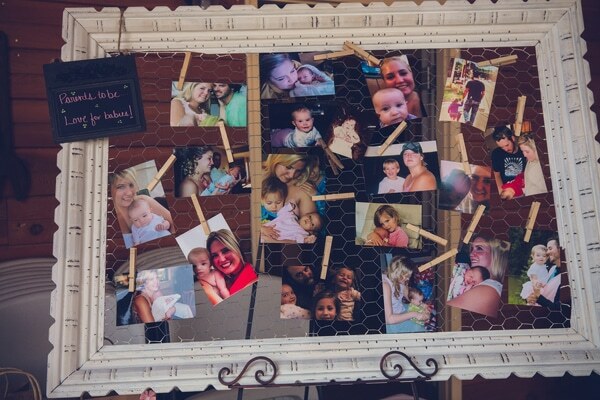 Katie used an old frame she found at a yard sale and attached chicken wire to the back with staples. 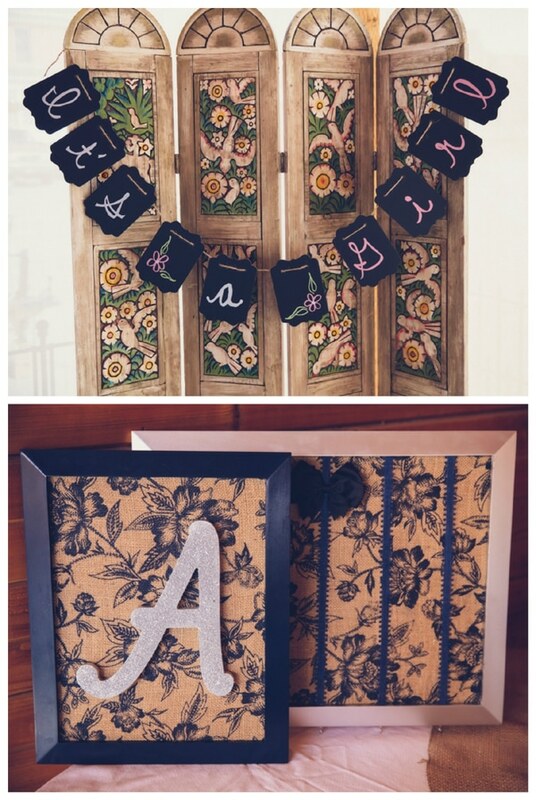 She then painted the frame with white chalk paint giving it a distressed look. 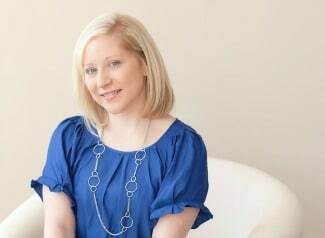 She attached pictures of her and her husband holding and caring for children they love – like nieces and nephews – to the chicken wire with clothespins. This was to show their excitement for being parents themselves! Winners of the baby shower games received a homemade cookie mix with pastel candies inside! 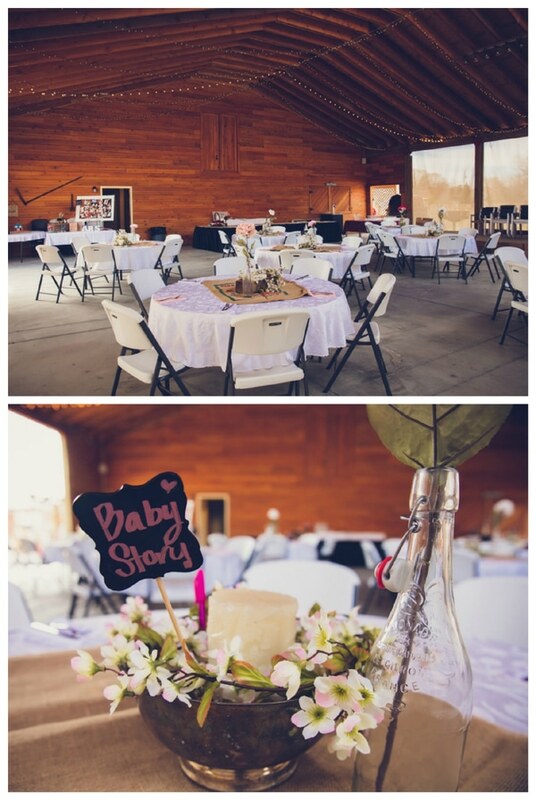 The food for the event was one of the mommy-to-be’s favorites … pizza! 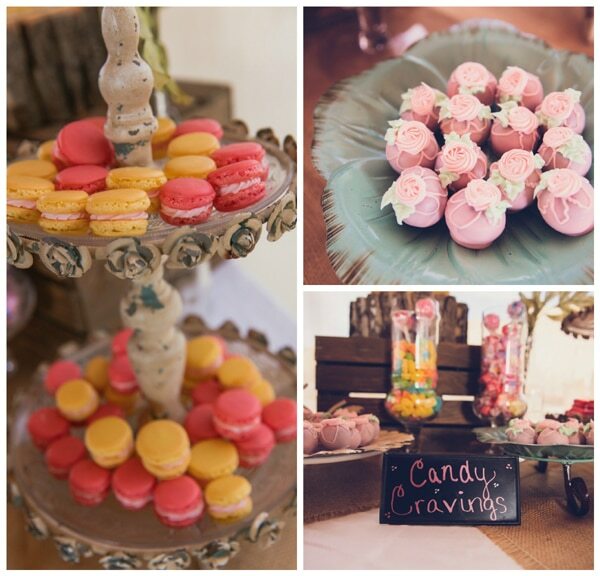 The dessert table featured the mommy-to-be’s “cravings” – cake balls, taffy and macaroons! 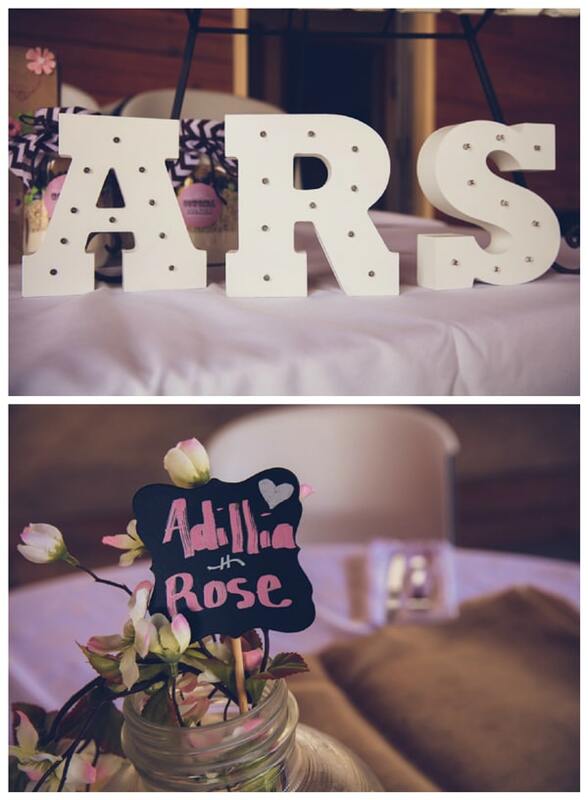 The baby shower was a huge success with all of the creative and lovely details and the beautiful setting! The following feature contains affiliate links. Please see our full disclosure policy. 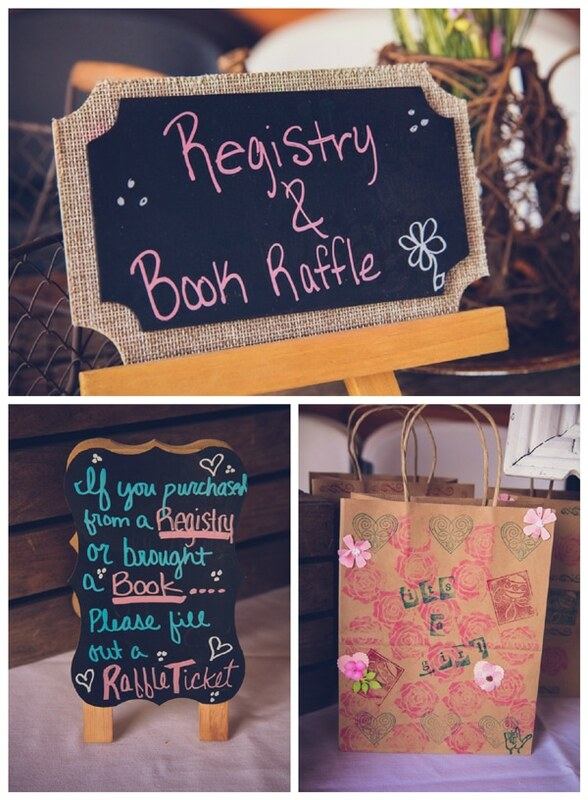 Plan a pretty vintage baby girl shower with these party products! 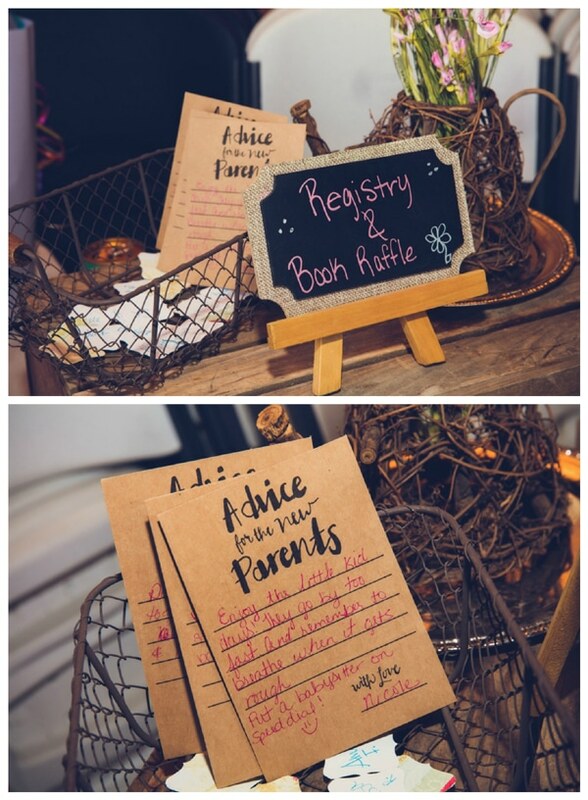 Check out these other baby shower features on Pretty My Party!